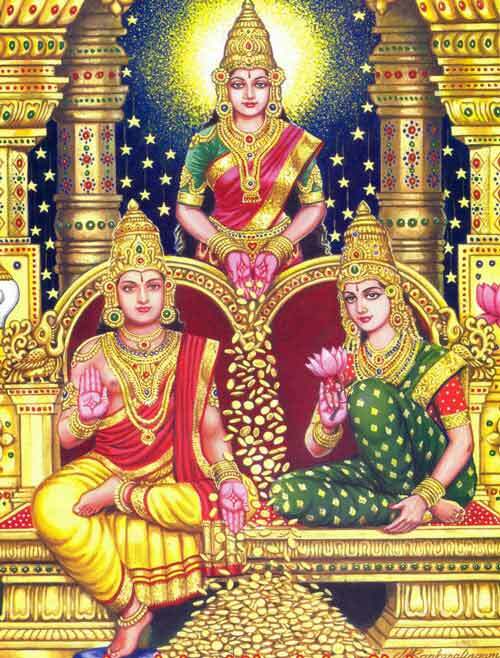 Kuber Ashta Laxmi Mantra is dedicated to Hindu God Kubera, and Ashta Lakshmi - the eight manifestations of Goddess Lakshmi. The mantra should be chanted continuously for 40 days to be effective. The mantra should be chanted 51 times. It is ideal to chant the mantra in the morning. During the chanting your mind should not wander around. Start chanting the mantra on a Friday morning. Chant the mantra facing northeast. Light lamp, dhoop, offer yellow chandan, yellow flowers and yellow color banana. The banana and flowers should be later given to a cow. Helps in attaining financial freedom. Ideal mantra to end financial troubles. Very good mantra for those looking to become rich through lottery and games. Helps in making gains in stock market. Helps in finding hidden family treasure. Good health and good family atmosphere.